PGA players reach the green in regulation on average 60% to 70% of the time. For an amateur, the average percentage is much lower. This means the approach shots are very important if we wish to perform at our full potential. In order to maximize our chances of success, avoid choosing high risk shots when the situation allows it. Long swings with a sand wedge or a lob wedge for a short distance can become disastrous if your contact is not at the center of your club. I propose as an alternative to start rolling the ball sooner, choosing a landing point that is closer. You can then use a club with less loft and shorten the amplitude of the swing to reach your goal, two elements that will improve your consistency and the quality of your missed shots. Therefore, based on your defined landing point, the distance that your ball has to roll will determine your club choice. Here are some ratio examples (rolling / flight) when the green is flat: PW 2/1, #9 iron 3/1, #8 iron 4/1, #7 iron 5/1. Get personalized tips from our pros for less with our Tremblant Golf Academy Promotion. Take advantage of a 25% discount when you book a 4-person golf academy lesson with a CPGA profesional at our Golf Academy facilities. Choose from 1 day lesson to 4 consecutive days with a round of golf included after your lesson. For complete details, visit tremblant.ca. 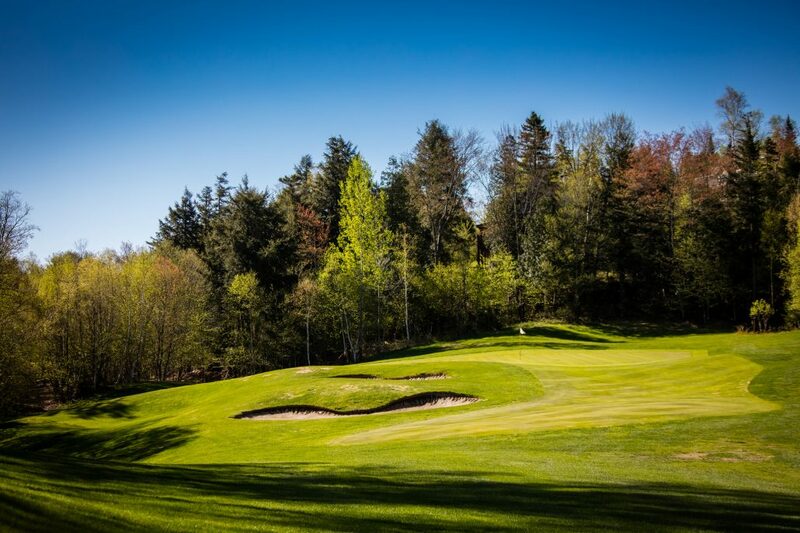 A busy summer for Tremblant golfs!